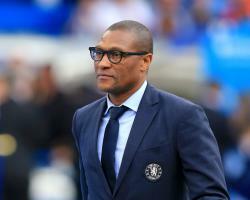 Former Nigeria international Emenalo has been a key confidant of owner Roman Abramovich, acting as a link between the first team and the Blues board. Emenalo's role also saw him have an influence on transfers, including Chelsea's much-scrutinised loan strategy, and developing players from the academy. He has already been linked with a position at Monaco. Chelsea said in a statement: "Chelsea Football Club today announces that technical director Michael Emenalo has decided to stand down from his role." Chelsea said Emenalo had "contributed to a period of unprecedented success for the first team and academy". Emenalo said: "This has been a very difficult decision to make, but one I believe is right for both myself and my family, and the club. Chairman Bruce Buck expressed regret at Emenalo's departure. "We are sorry to see him go but understand his desire to move on and explore new challenges," Buck said. Emenalo worked as head of opposition scouting and assistant first-team coach under Carlo Ancelotti, having arrived at Chelsea when Avram Grant was boss. Emenalo, since his promotion to technical director, and director Marina Granovskaia have led Chelsea's transfer activity in recent years. The Italian said: "I am very sorry to see Michael leave Chelsea, and I would like to thank him for all his help and support since I arrived at this club. "I have enjoyed working with him very much, we celebrated a Premier League title together in May, and I wish him the very best for the future." Granovskaia said Emenalo would help Chelsea assess their future management structure. She said: "We will now be reviewing our management structure, and Michael will be a part of that process as we look ahead."